Make a lovely wall hanging for the holidays! Finished size: 38" square. This is a Yankee Pride original pattern, first developed for one of our Mystery Quilt sessions. 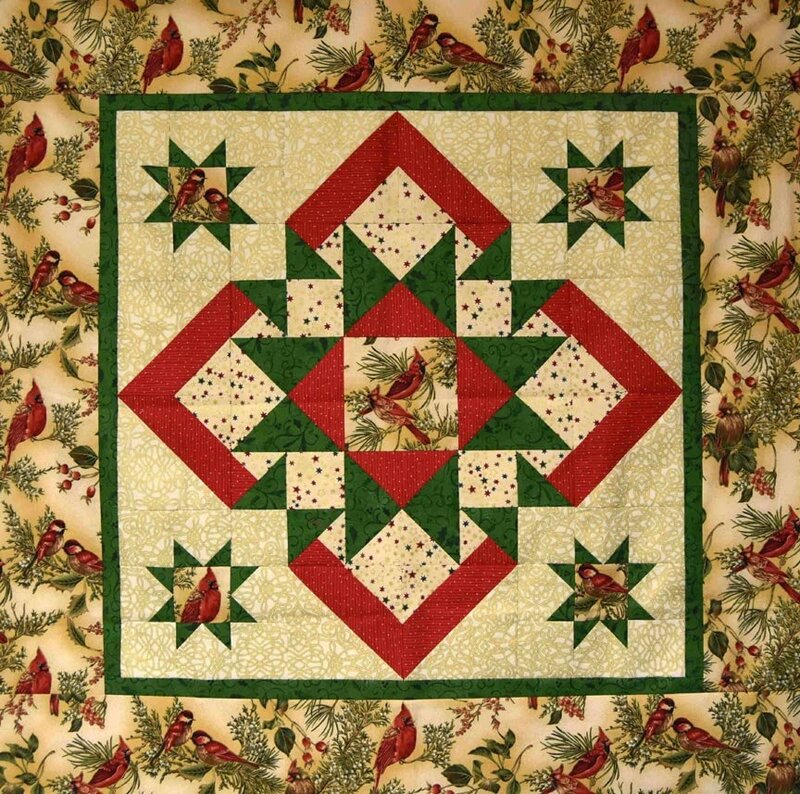 Judy adapted the smaller design using holiday fabrics, and what a gorgeous quilt it makes! The instructions, panel, and additional fabric for the top and binding are included in the kit.